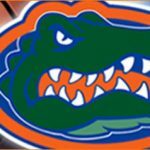 Florida Gators head basketball coach Billy Donovan met with the media on Thursday to preview Saturday’s game against the Wake Forest Demon Deacons in the 2014 Orange Bowl Basketball Classic and discuss his team as it heads into the holiday break. A mid-season transfer from Duke, redshirt sophomore forward Alex Murphy has yet to suit up for Florida in a game but looks poised to take the court for the first time in Saturday. All Murphy needs to be cleared for action is for the school to post his fall semester grades, which would immediately make him eligible as it would mark the conclusion of the semester. “We’re just trying to remain optimistic he’ll get an opportunity to play on Saturday,” Donovan said. “This week I’ve tried to put him in a little bit more to try to get him kind of caught up and up to speed and what he needs to do. And he’s a smart kid, Alex. He picks up things pretty quickly. So I’m not really worried about that,” he added. With Murphy practicing with the Gators for the last year, he is capable of being brought into the regular rotation without much of an adjustment. His knowledge base will go a long way to helping Donovan factor him in to his plans from the get-go. “I think Alex’s position is an interesting one just because he’s pretty cerebral, he can play a lot of different positions, we can move him around,” Donovan said. Murphy’s last name is obviously quite familiar to Florida fans, who likely hope he can contribute just as much as his brother Erik Murphy did during his time with the Gators. Donovan has been cautious not to put that pressure on Alex Murphy. “I think one of the things you become very conscientious of, it’s the same thing with Jon [Horford], it’s the same thing with Alex, for most of their lives there’s always been that normal tendency to compare brothers. It’s natural, and I’ve always been sensitive to try to stay away from that. I don’t reference their brothers. I don’t talk about their brothers. I try to treat them as individuals, who they are, what they can bring to the table. They’re just different. Redshirt junior guard Eli Carter has not had the best luck during his basketball-playing career. Despite mostly recovering from a broken leg he suffered at Rutgers before transferring to Florida, residual issues from the injury forced him to miss most of the 2013-14 season. Finally healthy entering 2014-15, Carter suffered a midfoot sprain early in the campaign and has played sparingly since. Though he is feeling a bit better and has seen some limited action as of late, Carter may wind up missing Saturday’s game after being diagnosed with strep throat this week. “I don’t know where Eli’s gonna be at again this weekend. He hasn’t been practicing for the last couple of days as he’s got an illness. They’re doing some tests for strep and that kind of stuff. I think right now he’s been diagnosed with strep,” explained Donovan. Ball movement and players moving without the ball has been much improved. Makes it a prettier game to watch when you don’t have 1 guy dribbling and 4 guys standing around the perimeter staring at the guy dribbling. Glad you got a bite from Coach D about Mitchell. Tons of brother connections today on the court. Murphy’s, Horford’s and Wilbekin’s oh my. GO GATORS!! !